Fra Angelico (c. 1395 – February 18, 1455), born Guido di Pietro, was an Early Italian Renaissance painter, referred to in Vasari's Lives of the Artists as having "a rare and perfect talent". 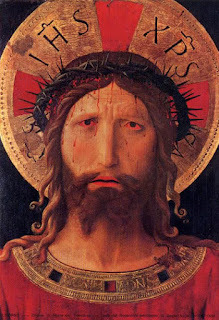 Within his lifetime or shortly thereafter he was also called Il Beato (the Blessed), in reference to his skills in painting religious subjects. In 1982 Pope John Paul II conferred beatification, in recognition of the holiness of his life, thereby making this title official. Fiesole is sometimes misinterpreted as being part of his formal name, but it was merely the name of the town where he took his vows, used by contemporaries to separate him from other Fra Giovannis. He is listed in the Roman Martyrology as Beatus Ioannes Faesulanus, cognomento Angelicus—"Blessed Giovanni of Fiesole, nicknamed Angelico".